The Geemarc Trimline is the latest stylish addition to the Geemarc retro range, ideal for the nostalgic or for those who want something eye catching and different based on the classic 1960’s Trim phone. 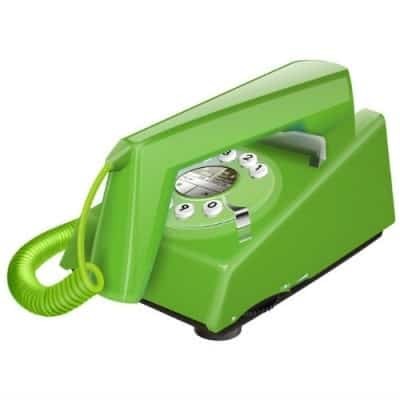 The Geemarc Trimline is the latest stylish addition to the Geemarc retro range, ideal for the nostalgic or for those who want something eye catching and different based on the classic 1960’s Trim phone. The Trimline range has a compact appearance as the handset actually covers the keypad when it is replaced on the telephone. The Geemarc Trimline has a last number redial button so you do not have to re input a complete telephone number just because the phone line was engaged, it also has an adjustable receiving volume control, time break recall. And the ringer level is adjustable. Enliven your home with a blast from the past ! The telephone is an analogue telephone and requires no power supply.